A discovery made by players suggests Red Dead Redemption 2's graphics may have been downgraded sometime between release and update 1.07. Red Dead Redemption 2’s graphics may have been downgraded, according to several users on Twitter as well as players posting on the Rockstar forums. 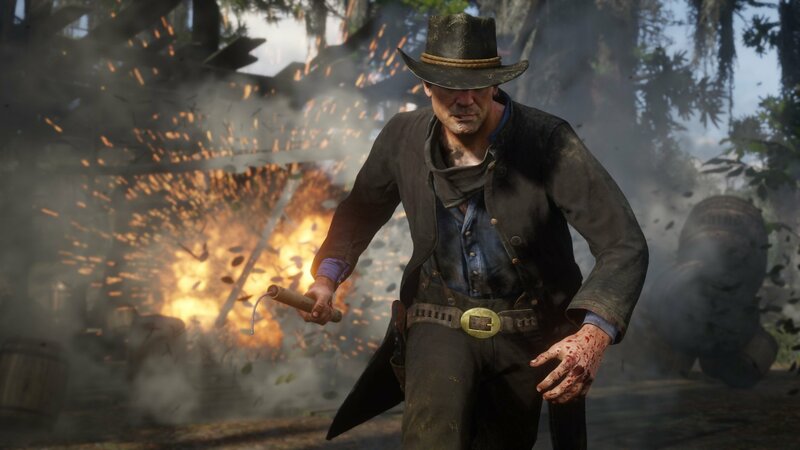 According to several reports, Rockstar appears to have been releasing some additional—unnoted—changes since the game’s release. While these changes happened well before the latest patch, update 1.07, many fans have reported some massive differences in the way the game’s ambient occlusion looks, especially on the base version of the PlayStation 4. Rockstar forum user RoflStarGames took this photo using the release version of Red Dead Redemption 2. If you don’t know what ambient occlusion is, it’s basically the way that the game renders realistic lighting. This allows the game engine to create better shadows and more detail with the lighting, making it look better all around. 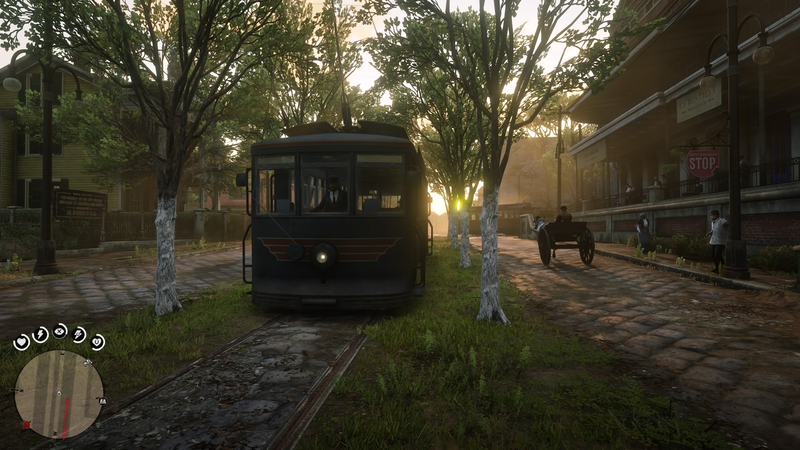 It’s a feature that helps to make games like Red Dead Redemption 2 look as beautiful as they do—especially in various lighting conditions—and it appears based on images around the web, that Rockstar has been tweaking it quite a bit since the game’s original release. The first report we noticed of this issue was Twitter user Darealbandicoot, who shared two screenshots of a scene in one of Red Dead Redemption 2’s taverns. You can view the tweet and all its replies to check out the screenshots to see the difference. Darealbandicoot isn’t the only person to notice the downgrade. In fact, the Rockstar forums have also seen some news of the downgrade from user RoflStarGames, who shared several screenshots looking at the difference between the 1.00 version of the game and update 1.03. The difference is huge, and much more noticeable in these screenshots. Of course, there are a lot of mixed opinions on the matter, but the question remains—did Rockstar downgrade Red Dead Redemption 2’s graphics to make the game perform better? There hasn’t been any official announcement, and none of the game’s patch notes have mentioned anything about any graphical tweaks of this sort. 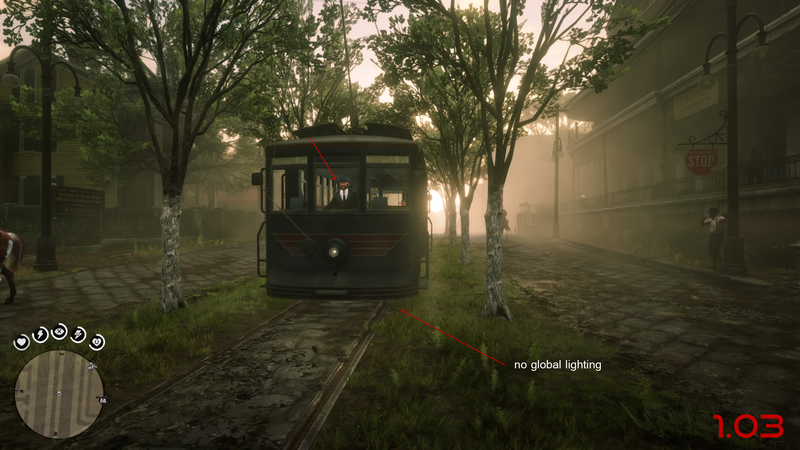 This photo taken by RolfStarGames after update 1.03 shows a stark difference in the game's lighting system. *All images taken and shared by RolfStarGames on the Rockstar forums. As it stands, it’s hard not to see the differences between the images that have been shared. Also, it doesn’t appear that the changes are effective on every platform as users on the PlayStation4 Pro and Xbox One X have not reported any changes to the way their game looks. We’ll be sure to update you as more information surfaces concerning this issue, so make sure you keep an eye out for updates to the story. What about you? Have you noticed any difference in Red Dead Redemption 2's graphics since release? Have they fixed the HDR yet?